I’ve put together a few of my favourite places to go for watery inspiration to get you from your screen to the sea. I am delighted to announce I have an exhibition - launching at The Skylark on Wednesday 24 April 2019 and running until 3 June 2019. It’s called Plunge. 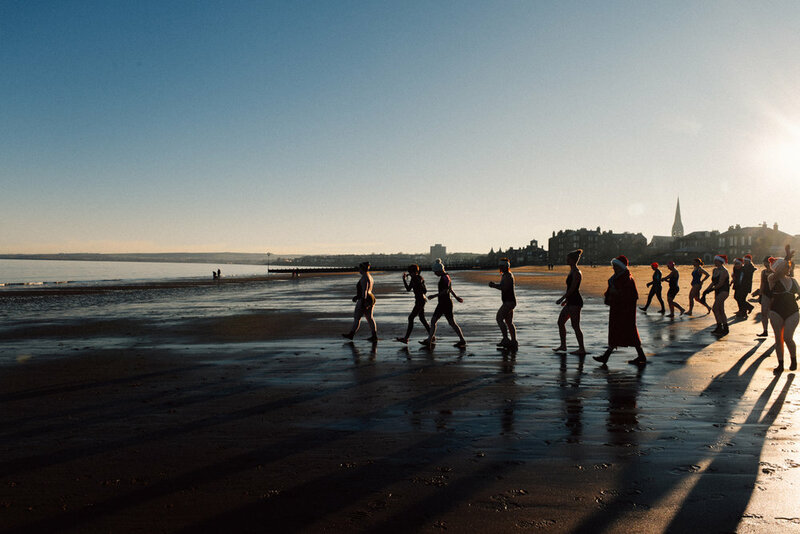 The photos are all shot within 5 minutes of eachother on a winter sea swim, the eve of International Women’s Day on the beach in Portobello. Thinking/ reflecting back on this past year as International Women’s Day and Spring approaches. It’s been a remarkable year for me. A community who have lifted me up, swept me along. You truly are influenced by those you spend time with. As Spring approaches and we all begin to find energy again, I thought it would be pertinent to celebrate with three photos, the women, who formed my experience of the year.